Over the years we’ve been recognized for our work in several different fields. We think it’s a testament to our dedication to providing clients the highest level of service and results. We’re proud of the recognition we’ve earned and we encourage you to browse our various awards. 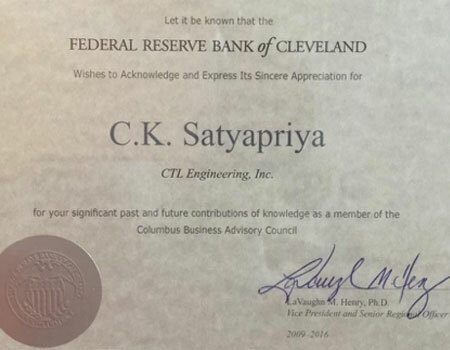 Congratulations CK Satyapriya for contributions of knowledge as a member of the Columbus Business Advisory Council. CTL Engineering named top 500 design firms by Engineering News-Record (ENR). Read the article here! 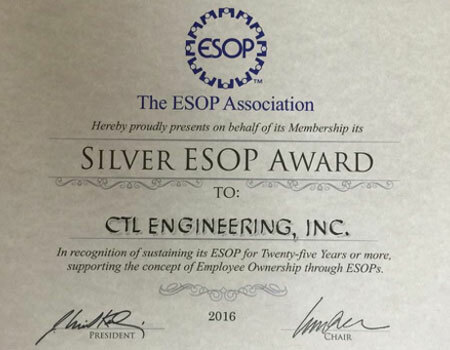 CTL Engineering is proud to receive the Silver ESOP Award from the ESOP Association in recognition of 25 years of Employee Owernership! The backbone of every thriving community is its economic activity. This vibrancy is developed by a commitment of activity from its members to be involved in the growth of the community it serves. CTL is proud to be committed to giving back for almost a century. We are thrilled to donate and raise funds each year for organizations that positively impact the communities we serve. 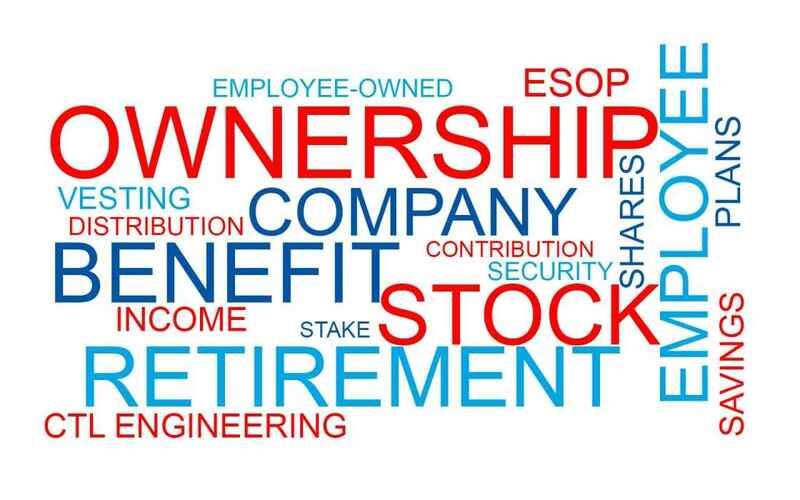 The Employee Stock Ownership Plan (ESOP) is the driving force behind CTL’s culture of teamwork and success. After just a year of service, employees of CTL can participate in a retirement plan that allots them stock in the company. This gives each participating employee a vested interest in the company’s success. The result is a culture that promotes work ownership, collaboration, and teamwork. CTL is excited to announce a new CTL Engineering, Inc. branch office in Waynesburg, Pennsylvania, effective March 2019. Read more and meet the team! At CTL Engineering we are always growing and continuously looking for new talent! Check out all of our new hires for Winter 2019.